I just saw the movie Still Alice for the second time. I was filled with a strange hope at the end of my first viewing. While the main character was left tragically altered by early-onset Alzheimer’s disease, her relationship with her youngest daughter changed and deepened in unexpected ways. I wanted to learn how that happened. The film is based on the novel Still Alice by Lisa Genova and follows a strong 50 year-old woman as she is diagnosed and affected by Alzheimer’s. Alice Howland is a Professor of Linguistics at Columbia University and has a type A personality: excellent at everything she pursues. Her older daughter is following in her footsteps, but her younger daughter, Lydia, is different. Instead of a traditionally professional career, Lydia is working hard in LA to become an actress. When we see the mother and daughter interact, it is obvious that they have rarely seen eye-to-eye in the decisions Lydia makes for her life. While I believe Alice loves her daughter, it isn’t obvious by her actions. She doesn’t go to see Lydia’s plays, she can’t remember the big part Lydia is trying out for, and she lobbies hard for Lydia to quit her acting company and go to college instead. “You’re so smart.” “There’s so much more you could be doing with your life.” Her siblings are choosing “real careers.” Women who have heard these words from their mothers hurt deeply. While the words may have been spoken with the best intention—helping the daughter find a secure place in life—they are insulting and damaging to a daughter’s sense of self. The clear message the daughter receives is that she is not good enough being the person she is, a person different from her mom. But something changed between Alice and Lydia as Alice became aware of her illness and struggled to accept the changes it brought to her life. Watching the movie a second time, I was able to identify 3 things Lydia did that changed their relationship. The daughter forgave her mom. Lydia took the first step. When her mother violated her privacy by reading her journal, Lydia was hurt and angry. After a short bit of time, though, she apologized to her mom. I didn’t think she needed to apologize, but the character was wise enough to see that if she wanted the relationship to change, she’d have to begin allowing her mom to know her, even if that meant through her journal. She saw that her mother was learning about her, and by letting go of the anger of the privacy violation, she was able to focus on letting her mom see a deeper piece of herself. The daughter wanted to know her mom. Lydia wanted to understand what it was like for Alice to be losing her memory, losing her words, and losing her way. And she asked. While the two probably hadn’t had this kind of conversation before, Alice began to share with her. It was the start of a new kind of relationship. 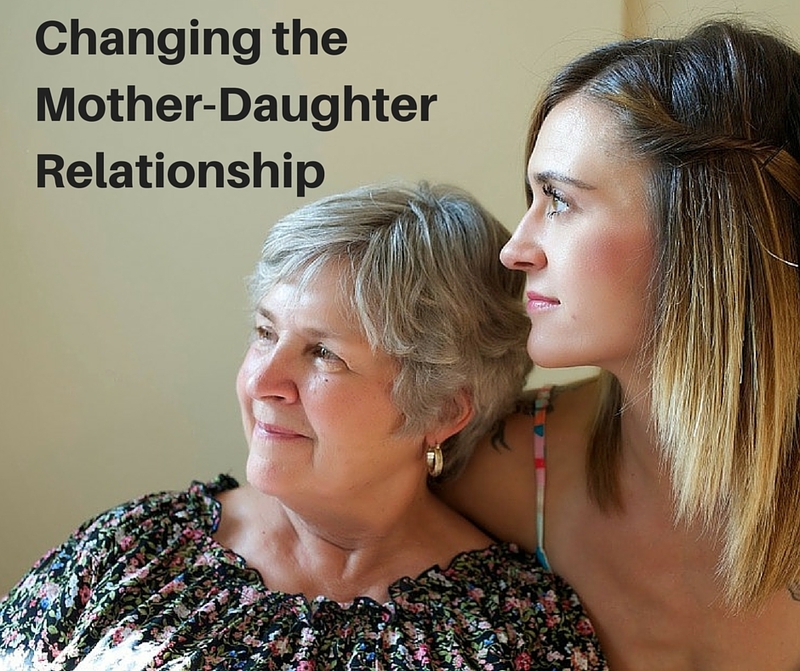 The daughter held on to her own identity as she built a new relationship with her mom. Many women who grow up with control-focused mothers struggle to develop their own identity. Often, they either follow the path their mother lays out for them or rebel against that path. Either way, their focus is on their mother’s plan for them, not the plan embroidered deep within their bones by the Father who created them. I admired how Lydia was able to get to know her mom and share herself with her mom, all while staying true to her own identity. This movie was heartbreaking. Watching the mental decline of a brilliant and powerful woman was not easy. But it also gave me a great sense of hope. Relationships can change. God is willing to use whatever circumstances arise to help us find that long-sought connection with our mothers, and we can choose to be a part of that new relationship. Does this mean they will always change to become what we want? Sadly, I think not always. I’ve seen the anguish of dear friends who have yearned for this connection with their mothers and never found it in this lifetime. But there is eternity, is there not? In the place where all is good, where sickness and grief are gone, won’t our mothers long to rock us in their laps as they caress our cheeks, and smooth back our hair to place kisses on our foreheads? This is love, I think. A daughter accepting—and loving—her mother as she is, not who she was or could be, but who she is in the moment they are together. And a mother, too, loving her daughter for who she is. Still Alice is a wonderful display of real love. As hard as it is to find, it may be there if we are willing to look for it. It does cause pain and some rethinking and sometimes as hard as we try, it just does not happen. Wonderfully written and thought through. Thank you Chris for sharing your gift of writing and sharing your insights.